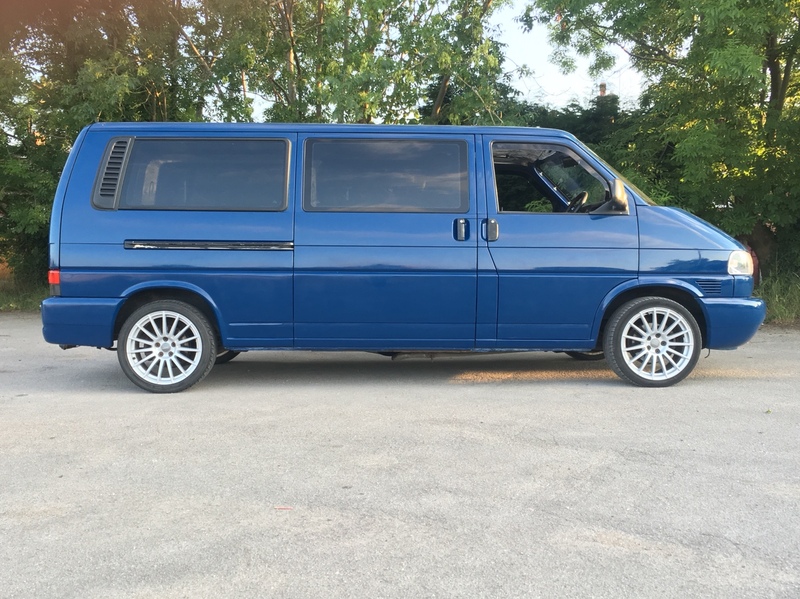 Anyone who knows me will know I’ve wanted a van for all my 38 years, always had modified Audi’s & golfs yet never really had the time or money for a van. I’m a full of petrol head with a passion for dubs but not necessarily the scene. March came & the sea of vans seemed to pop up again everywhere around north Wales & my wife finally said we need one. that’s why i married her. 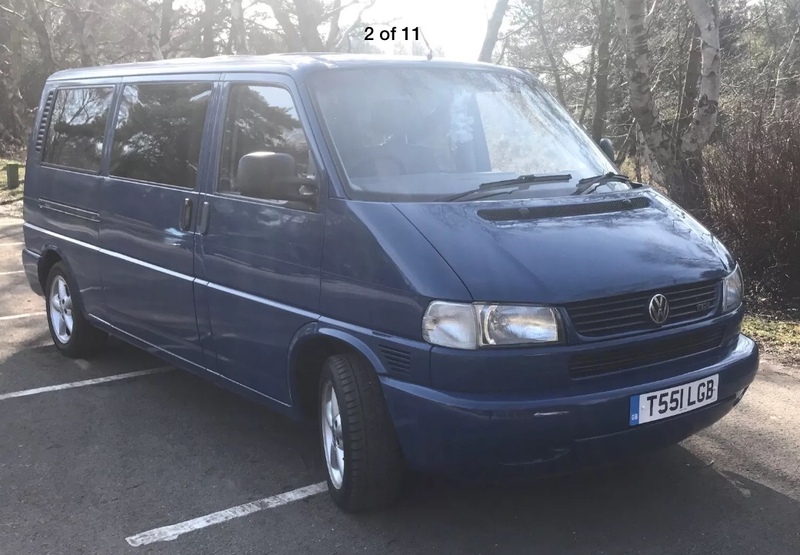 I looked at loads of ex builder vans etc & weigh my options up. In the end I chose a tatty ex taxi that has been painted by stevie wonder in a sand storm..... mechanical wise he’s not bad, body is a bit tatty but will get it sorted over winter & get rid of the little bits of rot. Plg so car insurance, car tax & cheaper ferries. This was how we got Gilbert back in April. He was a tour bus for the 70’s singer Donovan in 2016. I found some signed cds & plectrums etc when I stripped him. 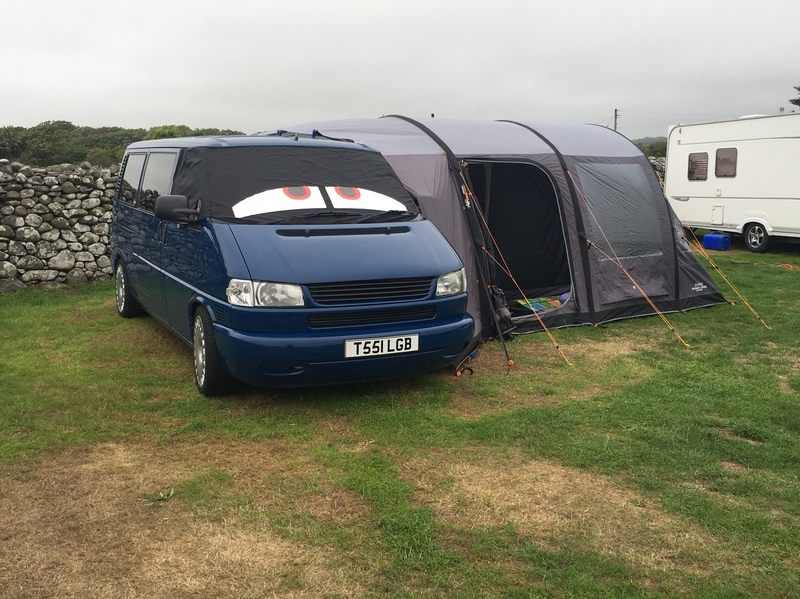 We want a day van from him so I binned the 6 rear seats & decided on a full width rock & roll bed. 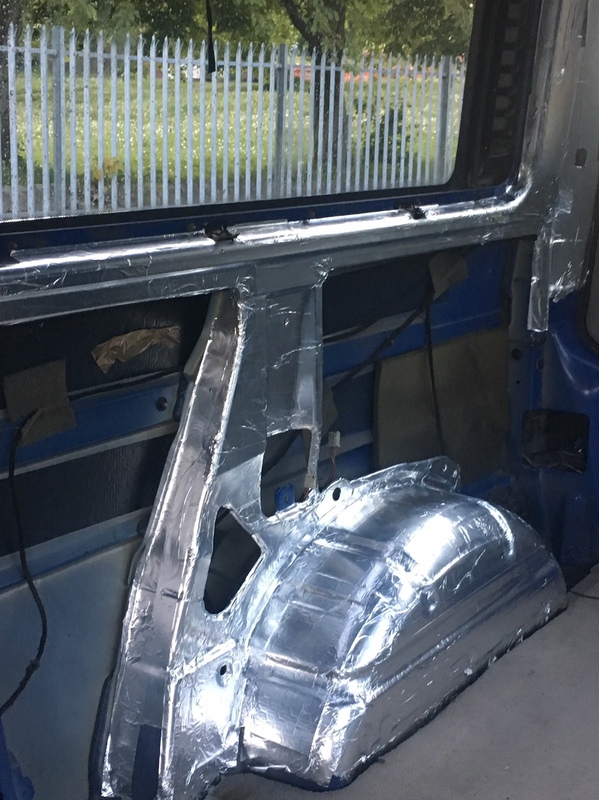 I fully insulated the rear of the van using the silver bubble wrap & a silver backed tape on all the bare metal. 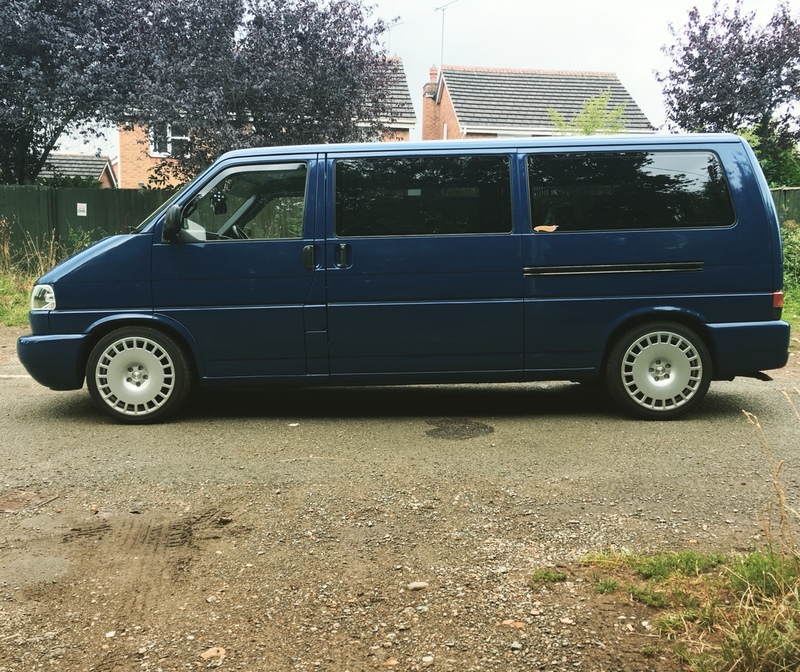 I used 35mm recycled plastic bottle insulation which is doubled up in most places due to the caravelle trim having more of a gap than ply. I have covered this in 4 way stretch fabric. I’ve also painted a lot of the trim in satin black & did the headlining of the cab in a world map fabric. 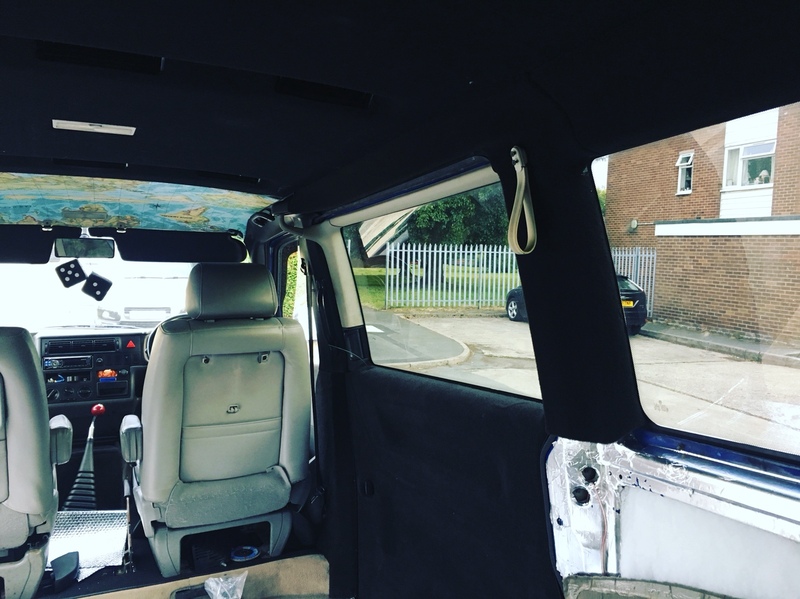 I painted the original caravelle roof lining which took an age but now matches the rest. I have removed the original over head heater/blowers as they were utter shite. I plan on fitting lights in for now but eventually want a pop top. I had to wait for the bed to be made before I could plan where the electrical items could go. I have a 2500w inverter, split charge & 2nd batt under the bonnet. I went for this mod as I can use the biggest normal car battery without risk of acid venting etc in an accident. 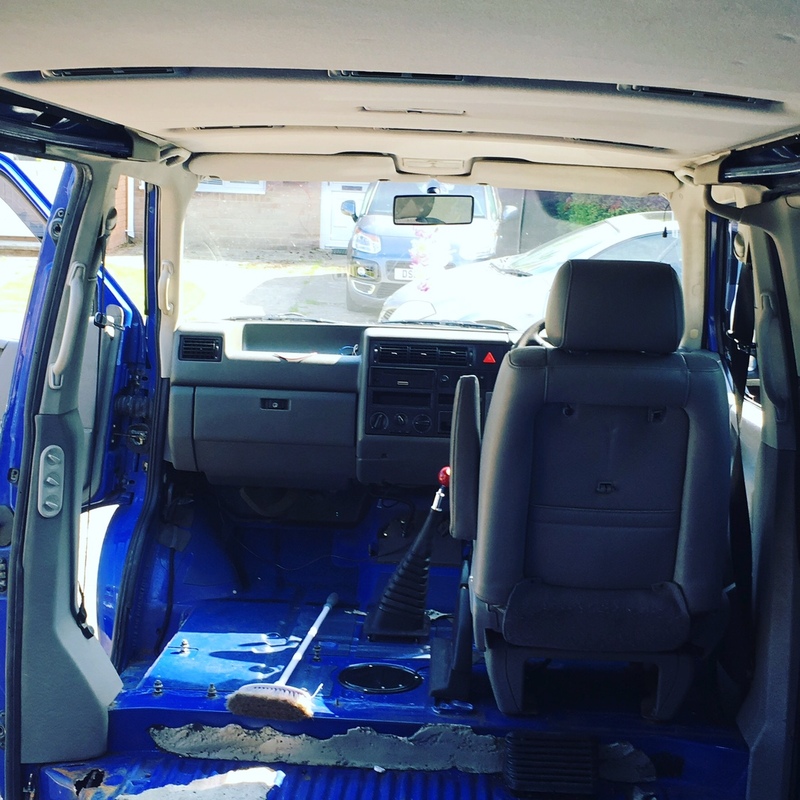 This is going to be a long term project & I hope to get it as tidy as some of your awesome vans I’ve seen on Facebook. It’s good to be on a forum again. Internally that’s about as far as it has got bar my old Raid steering wheel & lucky 7 pool ball. I’ve got a set of recaro mondeo st220 seats which are a complete ball ache of a job to fit but I won’t give up. 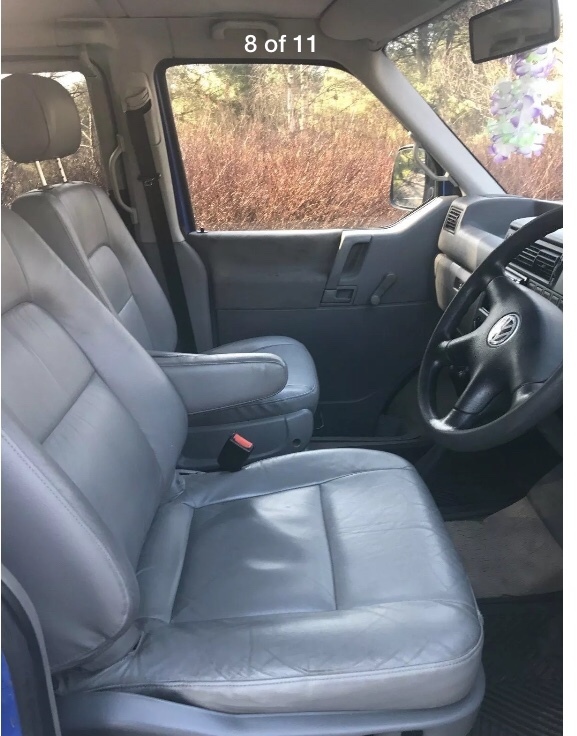 I have 2 swivels for the front seats so hoping I can get it to work. These seats are currently in it but they don’t suit it so will be up for sale eventually. 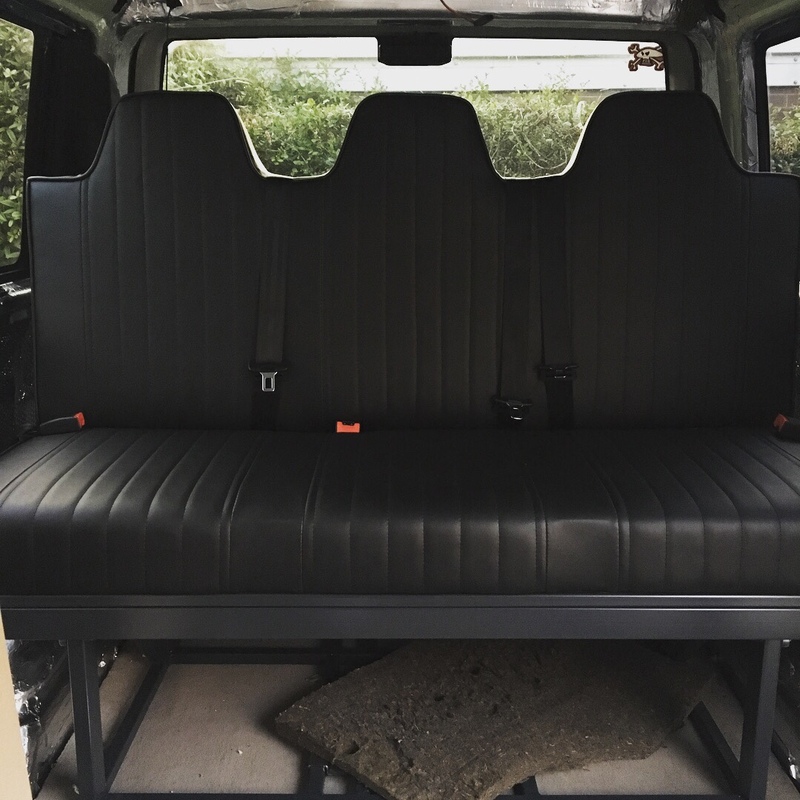 The cab will be getting a lot of love over the winter along with me trying to make the most of the room I have. We want a fridge & a sink. Hob would be nice but I don’t fancy a gas bottle. Waste & fresh water will be accessed through the drivers side slider & also allow ventilation on hot days. Also storage, lots of storage & cubby holes. 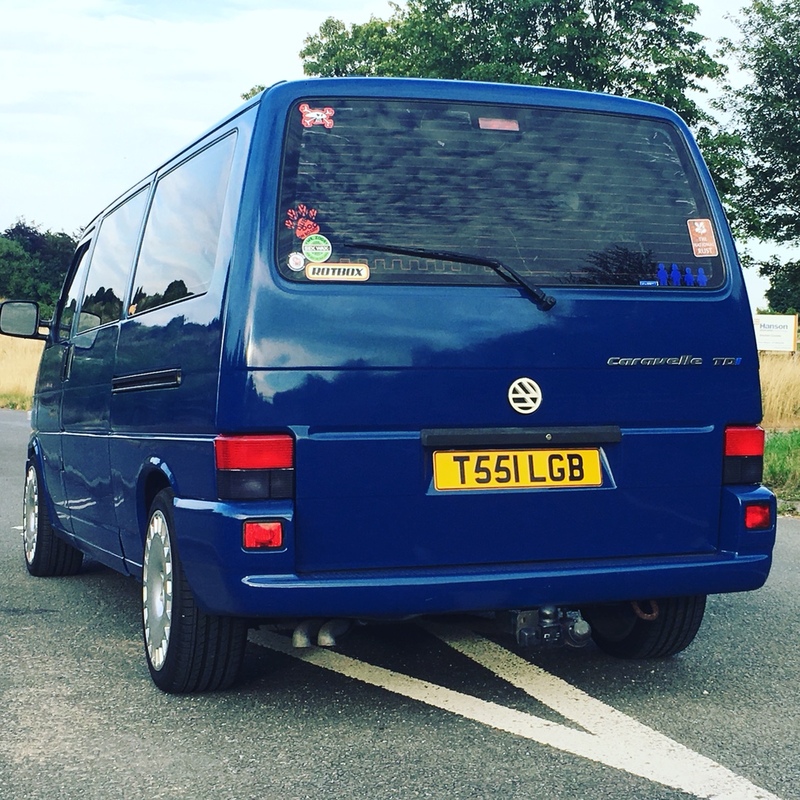 Externally it’s had a debadged grill, crystal indicators, smoked/red rear lights, lhd mirror, been lowered 45mm on full vogtland kit. How it looks right now but I’m going to 245/40/18’s next few weeks as originally I bought these wheels for my Audi so lower profile. Our first camping trip away last weekend. Thanks for reading & hope to become a good addition to the group. Welcome too the forum , nice van . No they’re not! Everyone knows the silver ones are! Only because it used to be yellow!